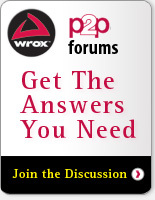 Browse for Wrox Blox titles related to Mac programming. Here's where you will find the most up-to-date technical expertise on a wide variety of Mac and related iPhone & iPod programming topics, including help for .NET developers who want to learn to develop for the iPhone with C# using MonoTouch and MonoDevelop on the Mac. You can count on Wrox Blox to help build your Mac programming knowledge today!